Please double check directly with the venue that deer-feeding is available on the day you visit before you set off as often when it comes to animal experiences, timings can change. You can visit Reindeer at Whitworth Hall all year round (sometimes the enclosure is closed during breeding season so please check beforehand). This experience is different to most as you actually get to stand inside of the reindeer's enclosure. New Girl in Toon shares more info here. 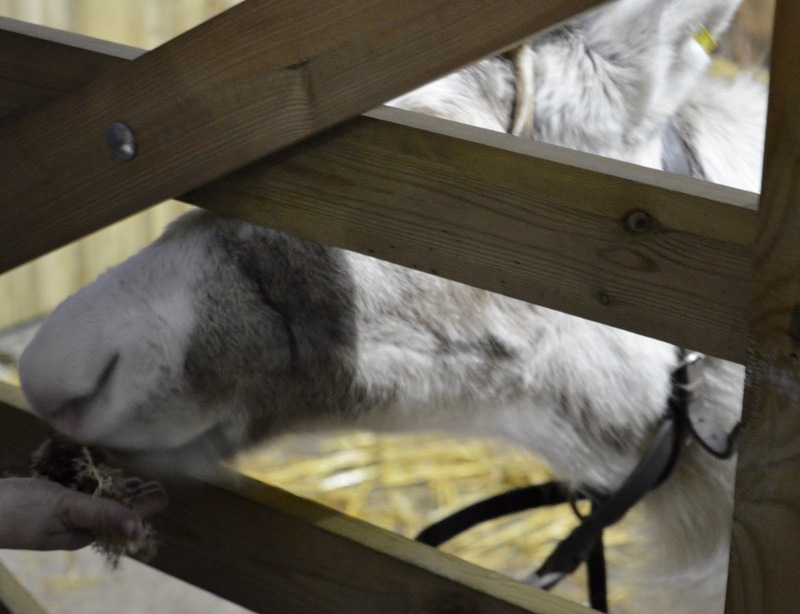 You can visit and feed reindeer at Beamish Museum as part of their Christmas event. Find out more and book online here. 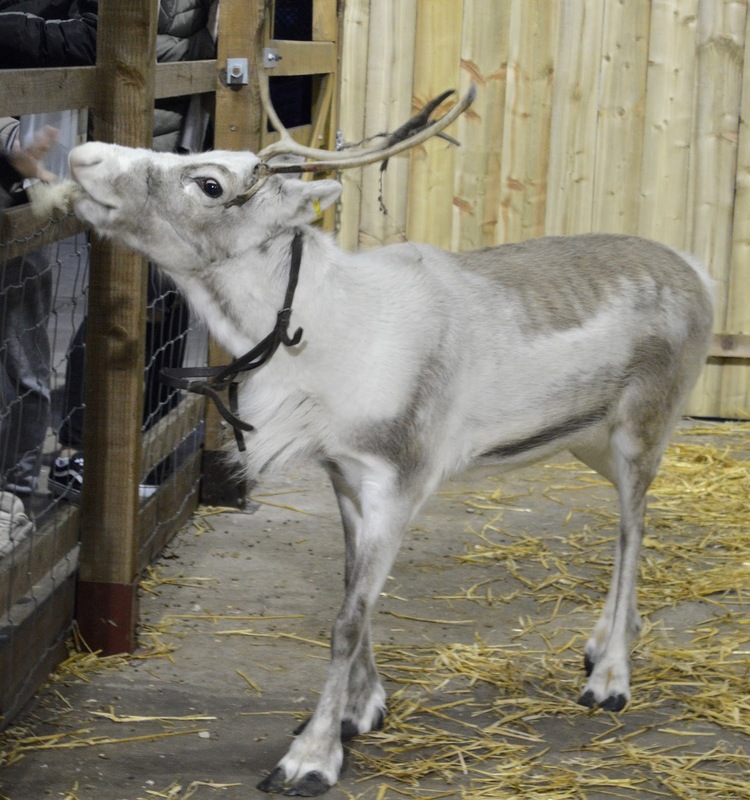 The Keel Row is known for hosting fantastic events for the community and during their Christmas night, you'll be able to pet and feed Santa's reindeer who have stopped by for one night only from the North Pole. It's FREE to visit and there will be lots going on including fairground rides and local stalls. Find out more here. 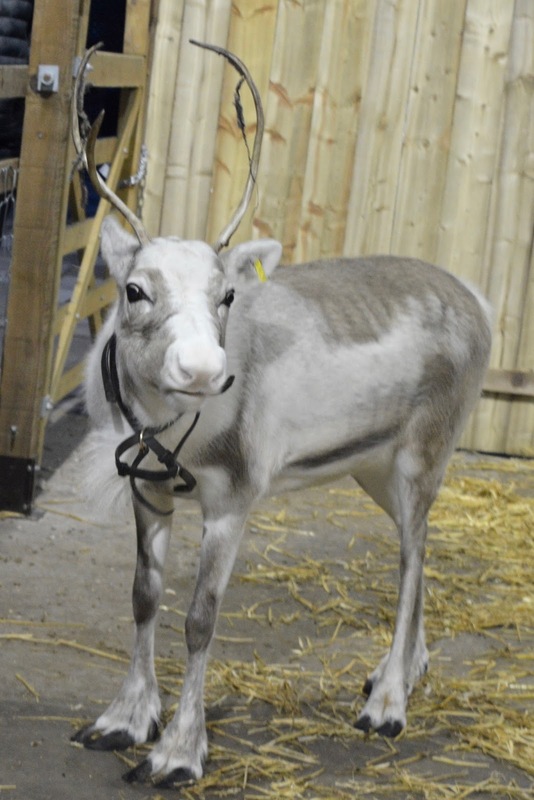 Reindeer are available to visit and feed at Azure Garden Centre during normal opening hours until 24 December. It's free to visit and there's a small charge for food (bring change). We did this last year and loved it - we'll be back soon. Find out more here. Reindeer will be arriving at Tyne Valley Garden Centre from 17 November this year. Keep an eye on their Facebook page here for details. I can't find any exact information online about this event unfortunately and Heighley Gate Garden Centre is in the process of being transferred to Dobbies. However, we've been able to visit and feed reindeer here for the past few years so I am hoping things will stay the same this year. Richardson's Garden Centre near Dalton Park looks like a magical place to visit Santa's reindeer this festive season. You can find out more here. You can meet the Reindeer at Raby Castle as part of their festive market weekend on 8 & 9 December where there's also the chance to say hello to the castle's festive pony. Find out more here. Let me know if you have any plans to visit reindeer this year. We're going to Beamish this year, haven't been at Christmas but it looks like it will be brilliant, absolutely can't wait ! Fantastic guide! I quite fancy going to see some Reindeer this year, may give Azure a go and time it with one of their markets! Looking at this because this is on my Christmas bucket list this year. Lena desperately wants to go feed some reindeer. Role on December!